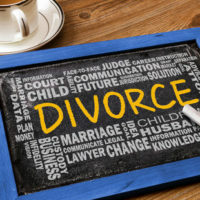 A New York Times article in 2005 reported that almost half of all people appearing in divorce courts around the country were self-represented, meaning they were not using an attorney to assist with their case. Fast-forward just little more than 10 years, and in 2016 an article in the Seattle Times suggested that the numbers are growing closer to a point where between 60 and 90 percent of all divorces include at least one party without an attorney. No matter how you look at it, people struggle in divorce. That struggle is often compounded by mistakes that could have been avoided by using a competent family law attorney. At the Law Offices of Todd K. Mohink, P.A., we believe there are usually options for people of all budgets and from all walks of life. No matter what you are facing, it’s usually a good idea to at least have a conversation with an attorney so you can fully address problems and understand what you are up against before it’s too late. Here are 5 things that are most commonly missed when people handle their own divorce without a lawyer. Right from the outset, it can be difficult for self-represented individuals to know things like proper jurisdiction and court divisions, what allegations have to be made in a petition for marriage dissolution, and even the proper methods and procedures for serving the other party. While most mistakes can be corrected, a single error can delay the resolution of your divorce by months and end up costing you even more money. Take a look at Maryland’s child support calculator online, then ask yourself if you feel comfortable completing it by yourself. Most people start to work through the online worksheets, only to discover that they are incredibly complicated and reference terminology and rules that most people simply don’t understand. An experienced attorney who has done it hundreds of times can quickly work through it with you to make sure you are not over or under paying. Do not underestimate the role that taxes play in a divorce. Many times self-represented individuals end up having to give up helpful tax exemptions that they should be receiving. Speaking of property, do you know how to force your spouse to turn over proof of hidden assets? What do you do if you know your spouse owns a business or a piece of real estate in another state or a bank account that you can’t access? How do you go about proving its existence in order to ensure all assets are being considered? While the number one thing all divorcing spouses with children seem to care about is time with children, self-represented individuals almost always fail to understand the importance of temporary or emergency actions early in the case. In many situations, the parent that receives a temporary custody award will ultimately be able to establish stability and a routine with the child, which later a court is more apt to make permanent. Quick and decisive action is needed to protect your parenting time. At the Law Offices of Todd K. Mohink, P.A., we have offices in Anne Arundel and Howard Counties, and we serve clients throughout the Baltimore region. If you need help with your divorce, don’t take chances. Call to schedule a one-on-one meeting today.